If I could describe it in a few words, I would describe it as the "forest in downtown Vancouver". You have to be there to appreciate it, as you could not just judge its size and beauty through pictures. According to the Canadian Geographic Magazine, it is named as the third largest city-owned park in North America. To describe its size further through numbers, if you are familiar with the New York Central Park, it only measures about 834 acres. This park measures about 1,000 acres. It is that BIG. I had two chances of visiting the park, first three days after I arrived and the second time is when my friend Jasper arrived. I planned to go there on-foot on one of my free days in Vancouver and do a little hiking, but unfortunately while walking towards the park from English Bay, it rained. 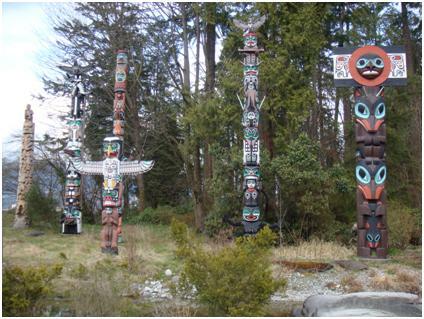 Upon entering the park, the first thing that you will notice would be totem poles as illustrated below. 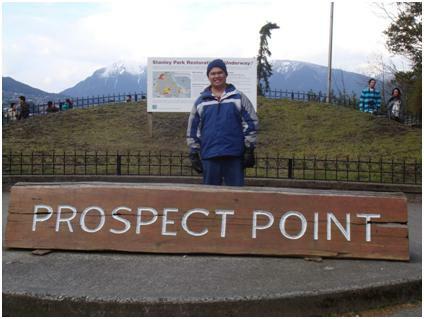 After that, we went to prospect point, which is one of the highest areas in the park. I should say that this is the perfect spot for those who want to see beautiful landscapes. 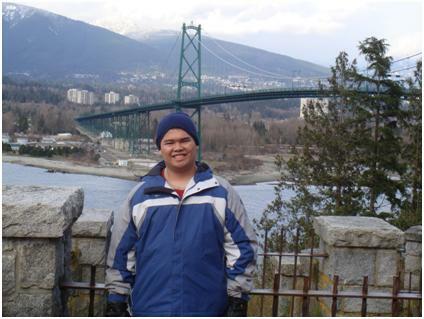 Here you will see the mountains and the sea as well as the adjacent Lions Gate Bridge. For those who would like to purchase some souvenirs, there is a nearby souvenir shop near prospect point. What can I say? I want to go back there some other time and go trekking / hiking as well as to experience the other activities that can be located in the park (there are plenty of those).